Overview: The battle against the evil aliens invaders continues with Hyperwave!! Hyperwave combines the mechanics of classic arcade games such as Space Invaders and Galaga with those of modern sci-fi shooters like Geometry Wars, Infinity Field or Super Crossfire, offering a both familiar and innovative gameplay which includes all the elements that make great a traditional shoot 'em up, but reproposed in a different context in which a strong strategic component is added to fast-paced action that we expect from this type of game. But do not worry! Hyperwaves space-fighter is really strong and is able to enhance its attack power significantly also using a wide assortment of weapons, special-powers and useful friends drones that will give you an hand in the difficult mission of containing the alien horde. * Universal App: runs in HD on Hi-Res Android devices. * Great gameplay, attack and defend at the same time! * Several exciting techno musics! * Arcade mode with 50 different waves. * Infinity mode for an endless challenge! * 12 vulcan upgrades and 5 different special weapons. * 3 devastating special-powers and smart friends drones to command. * Wide variety of enemies to face, each with its own peculiar behavior. * Heyzap achievements and global leaderboards support. - Now supports any Android Controllers / Joypad (HID) !! ★ Updated text translation for Italian, Poland, Thai and Spanish etc. Overview:RepetiTouch for Android - Record touch events and replay them! !!! REQUIRES ROOT ! USE AT YOUR OWN RISK !!! If you don't know what "root" is, then DON'T install this app. It won't work without root! But beware, replaying touch events can fail or cause unwanted effects for many reasons, e.g., if replay is started at a different device state than during the record or if during replay a popup is shown or something else is different than during record. Thus, always monitor your device during replay! Replay automatically stops if you're touching the screen, pressing the power button or on a phone call. Also, you can simply close RepetiTouch by long clicking on the blue star. ACCESS_SUPERUSER: Needed to record&replay the touch events. SYSTEM_ALERT_WINDOW: Needed to display the panel. READ_PHONE_STATE: Needed to stop record/replay on a phone call. WRITE_EXTERNAL_STORAGE: Needed to save a record on your external storage. CHECK_LICENSE: Needed to check the license of this app. Evil Enslavers from one point. Brave Robots from the other. Time for the Rebellion has come! So, dont waste any more second! Set Rioters free, lead a Run! With Robot Rush for Tango you can play and challenge your friends who are using the Tango messaging app. Overview: SOULCALIBUR is the ultimate in 3D fighting games! The series first appeared in arcades in 1998. By the following year it had been ported to home video game consoles. Now the highly acclaimed SOULCALIBUR series is available on Google Play. Enjoy the memorable characters and non-stop action that SOULCALIBUR is renowned for with complete arcade fidelity in the comfort of your own home! This game uses Google Play Game Service for achievements and leader boards. The original battle mode from the arcade version SOULCALIBUR. Grasp the games basics and perfect your technique. Models other than the ones mentioned above, as well as OS versions prior to that mentioned above are not supported. Depending on usage conditions, the software may be unstable, even on recommended models. Operation is not guaranteed on the newest iteration of an OS, even if it is the recommended OS. 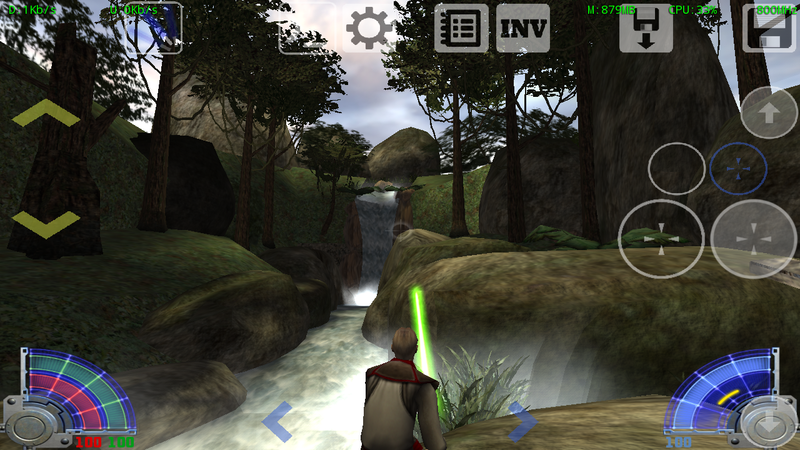 Overview: "Forge your weapon and follow the path of the Jedi Jedi Knight: Jedi Academy is the latest installment of the highly acclaimed Jedi Knight series. Take on the role of a new student eager to learn the ways of the Force from Jedi Master Luke Skywalker." This is the first release, please email if there are any issues, it's impossible to respond properly to comments! It features the best highly customisable controls available for any FPS. *To change gamepad axis sensitivity, long press on the axis on the Gamepad tab. *To map the volume keys use the GAMEPAD tab. Please contact support if you are experiencing ANY difficulties. Thank you. This game requires a powerful device, at LEAST a dual core device. There will still be some slow down in large areas, but I have still found it to be well playable. If you find it does not run well enough on your device let me know and I will issue a full refund. Overview: Simply Tilt and Go! Your excavator is off and running with real world physics programmed to your touch. Activate your diggers Boom, Bucket, Swing, and Stick with touch sensitive joysticks operating precisely as they did at your grandfather's construction site. Scoop Excavators realistic and playful controls spark everyone's childlike curiosity to operate heavy equipment. Complete jobs to earn paychecks, or enjoy creative free play, demolition, and physics-based puzzles in the Sandbox. Loading the dump truck with dirt is easy with the option of either SAE or ISO joystick control patterns. For more experienced operators, each control pattern has an advanced setting, combining the two motions of each joystick simultaneously. Gear shifting, hydraulic hissing, rise and shine with the roosters, old-fashioned hard work. Well...not exactly. While Scoop is based around what appears to be an ordinary excavator, the jobs, tasks and missions will be anything but ordinary. You have the pleasure of working under Foreman Chuck. Chuck is known for tackling construction jobs that the faint of heart and weak of stomach wouldn't dare to get tangled up in. Scoop - Excavator is developed for the latest high-end mobile devices. Visit http://www.yawsum.com to get the dirt on upcoming updates, request new features, suggest ideas, or receive technical support. Were building this game for you! Overview: Balance widget through USSD requests with possibility of parsing. There is a support of Dual SIM smartphones. Balance widget through USSD requests with possibility of parsing. There is a support of Dual SIM smartphones. 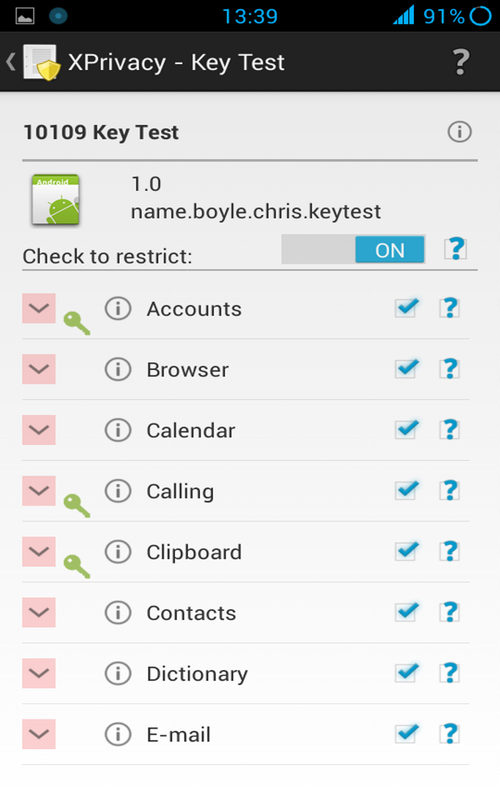 Imperceptible USSD requests on smartphones with root. Overview: Overview: Your professional book reader for Android. Overview: Pansi SMS is a Fast, Clean, Easy SMS comparing other huge, sluggish SMS. - Support multi-language, including English, Traditional Chinese, Russian, Spanish, Korean, Greek ,Italian, Japanese, French, German, Swedish, Hungarian; get more language packages in market. Many users' feedback: Best SMS app ever, have tried Handcent, Go SMS and ChompSMS, so far so good with Pansi and it's fast, easy and must have. 1. Some bug fixed and improvements. Overview: Millions of shoppers around the world agree that with the Buy Me a Pie! shopping list app they spend less time shopping, save money and the aggravation associated with forgetting grocery items. The app is fully compatible with the iOS version and lets you make shopping lists and share them with your family, friends, and colleagues on Android and iOS devices, as well as on the site buymeapie.com. Forget paper shopping lists and overcomplicated applications. * Sharing shopping lists via e-mail, SMS, and other apps, duplicating the lists. Download this app to improve your shopping experience, save time and money. * Display of the lists number. * The new settings screen which allows you to switch off the notifications sound and to select the dictionary items language not affecting the app interface or system language. Overview: Flexpansion's advanced word prediction dramatically increases your typing speed in ALL apps. Type using abbreviations, like a txt msg, and Flexpansion automatically expands into full, correctly-spelled text. Overview: Does the phone always die at crucial moment? This app extends many extra hours to the battery life by managing Internet connection intelligently and in the background. Reverted "Prevent applications from bypassing Android APIs"
Overview: Bringing Havoc into the Space Race genre, Evil Droid Studios presents you with Hyper Havoc! Hyper Havoc takes you to the endless tunnels of the Havoc Survival world with great spacecrafts that you can upgrade and feel the difference. Experience the awe of speed and shooting your endless enemies down, completing different achievements. Can you survive the Havoc? Do you dare to Enter the Havoc? Survival Time-game about survival in the wild! Are you ready to challenge the wild? Gather resources and subsistence and get ready for the night, the most dangerous time of day! Do not forget to stock up a torch or fire to scare away wild animals! Overview: The Talker app offers a smart way for you to interact with your phone. It works by creating rules which, when triggered, make the phone talk and let you reply back as needed. You can setup alarms and reminders, listen to news headlines, receive text messages and let the phone warn you when you are about to leave it behind. Please consider writing to us before leaving a review: info@thetalkerapp.com. We will be happy to work with you to add new features or fix any issue you might have. * The free version only allows you to have one active rule at a time. You can add as many rules as you want but you need to disable the active rule first. Please consider buying the pro key to remove this limit. * Bluetooth support is experimental. Please let us of any problem so we can fix it together. * The talk back option works only with English for now. Support for other languages coming soon. * Pair with bluetooth devices and send sticky broadcast: Needed to work with your bluetooth device. You can setup rules that are only triggered if your bluetooth headset is connected, for example. Overview: Spoof your device location, make it appear to be in another place. Overview: Danmaku Unlimited 2 brings a modern, original take on the classic Japanese arcade genre rarely seen on mobile devices! Climb the ranks as you pilot the powerful Senko fighter to destroy legions of enemies in a hailstorm of bullets! Overview: Camera FV-5 is a professional camera application for mobile devices, that puts DSLR-like manual controls in your fingertips. • All photographic parameters are adjustable and always at hand: exposure compensation, ISO, light metering mode, focus mode, white balance and program mode. • DSLR-like viewfinder display: see exposure time, aperture and stops display with EV and bracketing settings. • Full fledged exposure bracketing: from 3 to 7 frames, unlimited stops spacing, plus custom EV shifting. • Built-in intervalometer: make stunning timelapses (even bracketed/HDR timelapses) and time-controlled picture series. • Program and Speed-priority modes. • Long exposure support: take beautiful night photos and light trails with long exposure times up to 30 seconds*. • JPEG as well as RAW (PNG**) image formats for lossless photo capturing, perfect for post-processing. • All camera functions assignable to volume keys. You can adjust EV, ISO, color temperature and more using volume keys. Devices with hardware camera shutter key are also supported. • EXIF and XMP sidecar metadata support. • Self timer for delayed shooting. • Autofocus, macro, touch-to-focus*** and infinity focus modes, plus a focus lock switch (AF-L). • Autoexposure (AE-L) and auto white balance (AWB-L) locks in Android 4.0+. • In background photo developing and processing allows a smooth, uninterrupted camera operation. • Digital zoom using multitouch pinch gesture. Also shows 35mm equivalent focal length! If you find a bug using the application, please, visit the web page http://www.camerafv5.com or write to support@camerafv5.com with your phone model name and the description of the problem, before writing a negative comment. Customer satisfaction is my priority, and I will try to fix it as soon as possible! *** Touch-to-focus available for Android 4.0+ devices. Under Android 2.x, available only on Motorola, HTC and Nvidia camera drivers, plus some Samsung drivers and other phones. - Fixed: numerous bug-fixes for the LG Nexus 5. Crashes should be gone now, light metering modes are now working, unfortunately ISO is not supported (LG has prevented ISO access on that camera module, a future firmware might fix it). - New: immersive mode on Android 4.4 onwards. - Fixed: Gallery and image swiping issues. - Fixed: issues under new Android ART. With a powerful and beautiful UI it combines a series of powerful tools to manage your device with franco.Kernel. Basic functionalities such as Backup & Restore or CPU frequencies will work independently of the Kernel for the supported devices. It's localized to: Vietnamese, German (Germany), Dutch (Netherlands), Polish (Poland), Chinese (China), Portuguese (Brazil), French (France), Turkish (Turkey), Spanish (Spain), Italian (Italy), Hungarian (Hungary), Russian (Russia), Czech (Czech Republic). If you desire to help out visit this Crowdin link: https://crowdin.net/project/francokernel_updater . This service costs me $18,5 a month because I believe its very helpful for the app users to have the application translated into their languages. Take note that your device needs to be ROOTED. I don't accept refunds if you fail to read this warning.